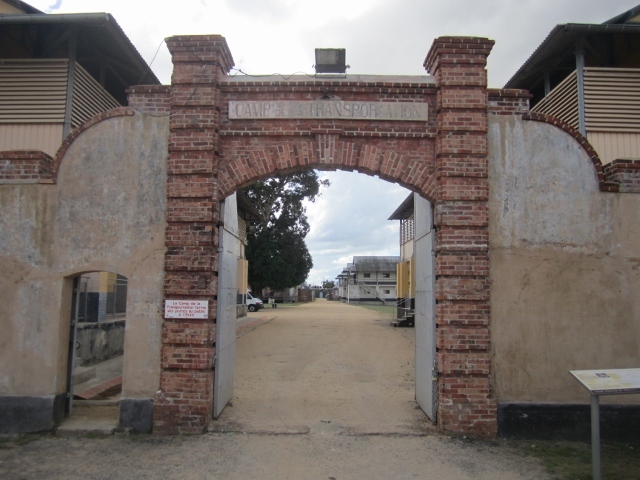 Devil’s Island – Colony of the condemned. ‘The policy of the Administration is to kill, not to better or reclaim.’ – Rene Belbenoit. Many people today think of the Guiana colonies in that way, three small islands off the Guiana coastline (Royale, St. Joseph and Devil’s. They weren’t. Out of approximately 70,000 inmates, only 50 were incarcerated on Devil’s Island. It was also reserved for French political prisoners, not conventional criminals. 70,000 inmates went out to Guiana, only 2000 or so returned. Only around 5000 survived to finish their sentences. The rest succumbed to disease, murder, execution, failed escape attempts and deadly animals populating the Guiana jungle. Conditions were so bad that between 40% and 80% of one year’s intake would be dead before the next year’s intake arrived. Bagnards leaving for Guiana. For most it was their final journey. Their suffering began aboard ship. Crammed below decks like sardines with only a half-hour a day on deck for fresh air and sunlight, with hardly any hammocks leaving many inmates sleeping on steel decks, with any trouble below decks punished by the guards turning hot steam hoses on the inmates, life aboard ship was miserable. Guards could also flog inmates who disobeyed even insignificant orders. Inmates often murdered each other to settle grudges or robbed each other of whatever small possessions they had. Life in Guiana, for those who survived the three-week voyage, was immeasurably worse. All an inmate had to endure the voyage was issued prior to embarkation; a convict uniform, wooden clogs, a hat and a small secret device known to convicts as a ‘plan’ or ‘charger.’ A ‘charger’ was a small metal tube carried internally, perhaps containing money, gems, small escape tools, a map and maybe a small knife for self-protection. If an inmate was discovered carrying one, or indeed broke any other rule aboard ship deemed too serious for a mere flogging, they spent the rest of the voyage shackled in the bilges in searing heat and deafening noise, directly over the engine room and boilers. New arrivals landed at St. Laurent, capital of the Guiana penal system. At St. Laurent most inmates would serve their sentences unless they were interned on the islands or sent straight to jungle work camps. At St.Laurent they were classified according to security risk and criminal record. Standard inmates were ‘Transportes’, transportees who’d committed more serious crimes. Lower down were ‘Relegues,’ serial petty offenders with records for crimes like shoplifting or burglary. The few surviving their sentences were listed as ‘Liberes,’ in theory freed inmates. The worst of the worst were ‘Incorrigibles’ or ‘Incos.’ ‘Inco’ went straight to the feared jungle work camps where food was short, work hard, danger significant and life expectancy seldom more than a few months. If not the jungle camps then a permanent posting to Royale was their most likely destination. Inmates especially hated ‘Doublage. Any prisoner serving less than eight years had to spend the same amount of time in Guiana as a colonist. Anyone with more than eight years was barred from ever returning to France or leaving Guiana. A two-year sentence effectively became four, assuming the inmate survived. Conditions were appalling. Food was barely edible and never enough for anybody performing forced labour. Medical care existed, but the prison hospital was poorly equipped and chronically under-staffed. Discipline was brutal, floggings, extended solitary confinement and the guillotine being the order of the day. In the jungle camps inmates worked to stiff daily quotas while underfed, malnourished and brutally disciplined at the slightest infraction. The camps were also breeding grounds for disease. Yellow fever, dysentery, malaria, typhus, cholera and leprosy were commonplace. The jungle was also home for deadly animals like jaguars, snakes, venomous centipedes and flesh-eating ants. The Maroni River was home to piranha and caymans. If these weren’t enough, mosquitoes, leeches and vampire bats were capable of infecting their human hosts with rabies and other blood-borne diseases. For more serious offences, especially attacking or murdering a guard or colonist, the guillotine was freely used. It was operated by convict executioners who were the most hated inmates in the penal system. One executioner, Henri Clasiot, was so hated that other inmates tied him to a tree filled with flesh-eating ants, smeared him with honey and left him to a slow death. At St. Laurent, inmates were paraded before the ‘Merry Widow’ as the guillotine was known and forced to kneel. The execution would take place and the executioner would hold up the severed head while declaiming ‘Justice has been done in the name of the people of France.’ It was a nauseatingly brutal spectacle designed to intimidate convicts as much as possible. 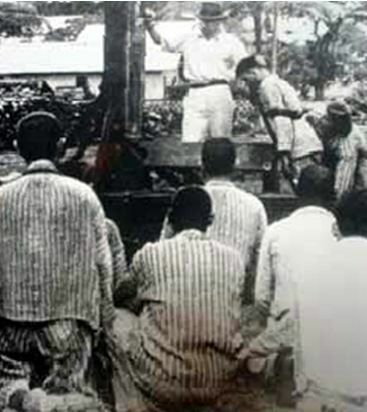 Recaptured escapers faced harsh punishments. If a guard or civilian was killed during an escape, the guillotine was a virtual certainly. A first failed escape added two years in the dreaded solitary confinement cells, known as the ‘Man-eater’, the ‘Devourer of men.’ on St.Joseph Island. Second failed attempts added five years more. The solitary block became known for its rule of silence, prisoners being forbidden to speak a single word unless first spoken to by a guard or other staff member. The cells were damp, mouldy and disease-ridden. They were also riddled with cockroaches, venomous centipedes and other dangerous animals and the prisoners were deliberately fed poor food only sufficient to keep them alive without keeping them healthy. As a former Warden at St.Joseph described it when Henri Charriere entered for his first two-year sentence: “Here we don’t try to make you mend your ways. We know it’s useless. But we do try to bring you to heel.” A small infraction meant an extra thirty days added to an existing sentence with longer additions for each additional infraction. Other punishments included screening a prisoner’s cell and leaving them for months in total darkness and perhaps cutting their rations by half. This in addition to potentially being guillotined for attacking a guard. Some inmates committed suicide and went unnoticed for weeks due to the rank conditions in the gloomy, disease-ridden cellblock. In short, an inmate didn’t so much live in the ‘Man-eater’ as exist until they died, took their own lives or went insane which, given the conditions, was more than likely. Royale Island was the home of the ‘Incos.’ ‘Incorrgibles’, if not worked to death in jungle camps like Cascade, Charvein and Godebert or along the unfinished roads ‘Route Zero’ and Kilometre 42’ (which were never intended to be finished, existing solely as make-work for slave labourers) would be permanently interned on Royale. Some inmates and officials made a living by taking bribes to have a prisoner’s status changed, making them a regular ‘transporte’ instead of an ‘Inco’ and so seeing them shipped back to the mainland where escape was more likely. This was a confidence trick. ‘Inco’s had their status decided back in France. Even the Guiana Penal Administration couldn’t have it altered. The most notorious inmates were quartered in the ‘Crimson Barrack’ where card games ran night and day, staff were too scared to enter unarmed and unescorted and even blatant murders were regularly committed. The threat of violent death firmly discouraged informing on anybody. The last of the three island prisons was Devil’s Island, also guarded by fierce rip tides and sharks with a few staff on hand. It’s odd that the smallest and least-used part of the penal system became the totem for the entire network. 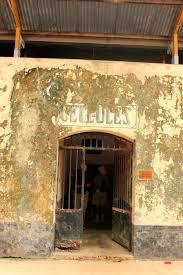 During the 99 years of the penal colonies only around fifty prisoners were ever kept on Devil’s Island itself. They were all political prisoners and not felons. Devil’s Island owes its fame and symbolic status to having been the unwanted abode of Captain Dreyfus. Falsely accused of espionage, stripped of his rank and sent to Devils Island forever, Dreyfus was eventually pardoned and reinstated after a global campaign to prove both his innocence and the rampant anti-Semitism of his accusers. 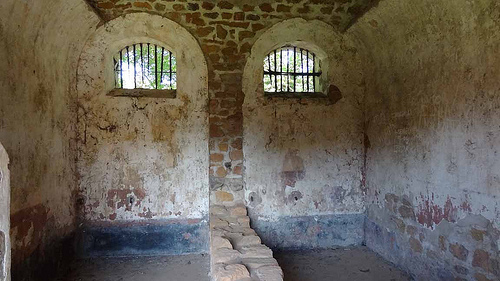 Alfred Dreyfus’s prison cell on Ile du Diable, Devil’s Island, French Guiana. Having spent over five years on the island, Dreyfus returned to France for a rehearing, pardon and reinstatement in the French Army, but only after heart-breaking misery at being framed and made a scapegoat by a country he loved and had served honourably throughout. A principal player in the Dreyfus campaign was famed French writer Emile Zola, whose famous essay ‘J’Accuse’ condemned the anti-Semitism in France and the cowardice of the French state in its treatment of Dreyfus while firmly supporting his claims of innocence. As a result of the Dreyfus case at the start of the 20th century the world finally began to pay attention to Emperor Napoleon’s disastrous and sadistic pet project. Further unwelcome attention came from Rene Belbenoit and Francis LaGrange, both former inmates of the colonies. Belbenoit, a petty thief given eight years for a small-time burglary, escaped successfully at his fourth attempt and made his way to the United States. His 1938 book ‘Dry Guillotine,’ so named because the penal colonies killed as well as a guillotine only more slowly, was reprinted eight times in the first two months since its release and is a collectible to crime buffs and penal historians. LaGrange, a former art forger, also provided unwelcome publicity through sketches and drawings depicting life in the colonies and used in Belbenoit’s book. Increasing international scrutiny forced the French Government to stop sending inmates to the colonies in 1938 and their closure was scheduled until the Second World War intervened. During the war the islands were taken over by the Americans, who feared the Vichy government might try and make them an Axis base of operations. In 1946 the camps and islands began to be gradually phased out. Between 1946 and 1953 when Devil’s Island itself finally closed forever, the camps were shut one after another and the inmates repatriated. Over 300 inmates refused to leave, many staying on in St. Laurent as French Guiana remained a colonial possession. They decided that they had been too changed by their experience to fit back into French society and that Guiana was the only life they could remember. They were probably right. 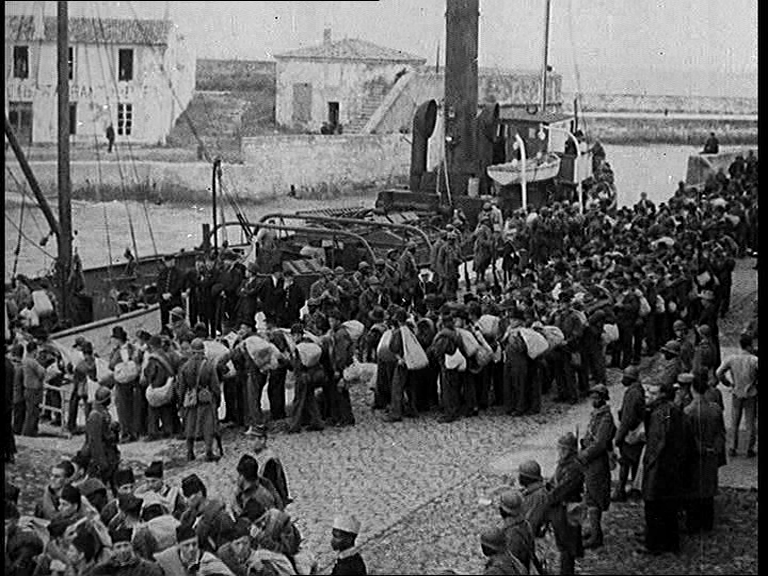 Of those inmates who were repatriated, a substantial number either returned to prison or were declared insane after failing to re-integrate into French society. Some even took their own lives. It was bitterly ironic that many of these men, men who had previously been cast out of French society, found it taking care of them in their last years. It wouldn’t be right not to give a greater mention to Henri ‘Papillon’ Charriere. Papillon’s eponymous book, first published in the 1960’s after the colonies had closed, revived unpleasant memories for the French of an episode many would rather have forgotten. 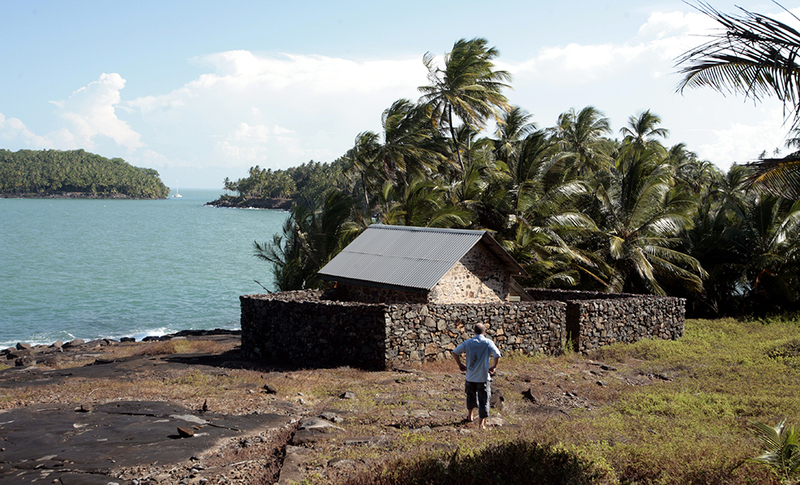 Even today the Guiana penal colonies are a taboo subject for many French people. Papillon’s honesty and whether or not he merely appropriated large parts of his book from other inmates’ experiences has been hotly debated, but his storytelling skills are beyond doubt. 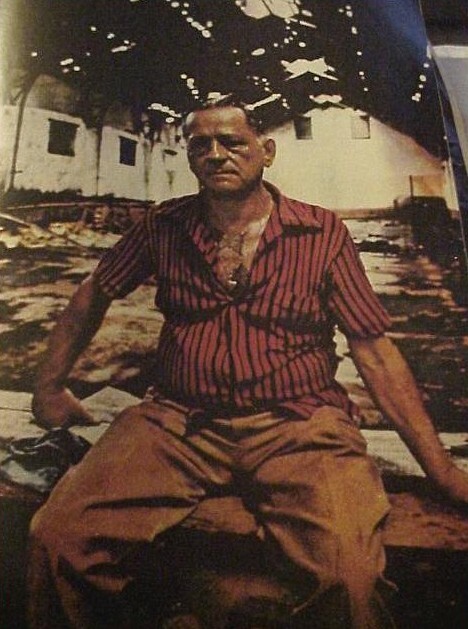 Although French authorities claim that only around 10% of his claims are true and it’s certainly true that he never served time on Devil’s Island (he was a safecracker convicted of the manslaughter of a pimp, a charge he always denied), the 10% would still be a damning indictment of the Guiana penal system and its purpose of socially cleansing France of its underworld. It even failed to do that, eventually. There’s another irony in the penal colony story even today, one not recognised by many people. French Guiana is the site of France’s Ariane rocket space program. The rockets are launched from near Kourou, formerly one of the dreaded jungle camps, with control equipment being sited on Devil’s Island. The space project site is constantly under the guard of the French Foreign Legion who also use Guiana for jungle warfare training. Odd really, when you consider that many of those who have joined the Legion at some point might very well have once found themselves headed for Guiana unwillingly, wearing a different type of uniform altogether. Papillon, one of my favorite films with one of my favorite actors of all time, Steve McQueen. Thank you for the informative article. McQueen was a far better actor than he’s sometimes given credit for and Papillon was probably his best work. He certainly wasn’t just a pretty boy there to be looked at. Charriere’s account, in terms of his claiming so many things happened to him that didn’t and the fact that ordinary convicts were never confined to Devil’s Island itself, does seem like a rogue and a rascal. He was also a great storyteller, though, to be fair. I’ve got a couple of other posts up regarding the Penal Administration in french Guiana (now thankfully abandoned to history, so do feel free to have a look. Thanks for your comment. Next Next post: Edith Cavell – Hand-wringing propaganda is not enough. Nor does it do her any service.